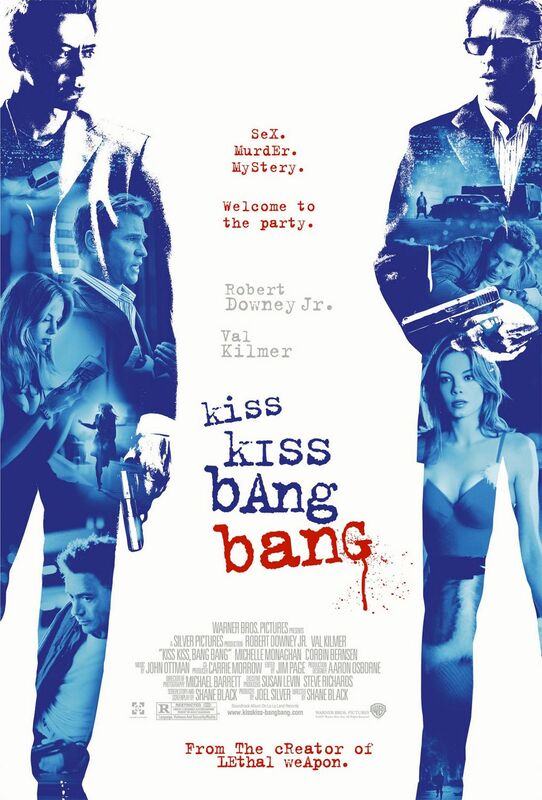 I have featured Kiss Kiss Bang Bang in a few of my Sporadic Scene posts, but I have never actually reviewed it. Well, the time has come to change that. I freaking love this movie. I happened upon it completely by chance with my cousin back when it was released, and we had a great laugh that day, and the movie has provided me with endless laughs over the decade since it’s release. Yes, I’ve seen this movie quite a few times over the years. Kiss Kiss Bang Bang is incredibly sharp, witty and hilarious and is carried by a fantastic cast that embodies the crazy that we undertake when we start this. Robert Downey Jr before Iron Man is also cool to watch, I wonder if people remember he actually did other things before he became Tony Stark? Because he did. And he is good. Naturally, he is fast talking and slick, RDJ completely owns his role. The chemistry his Harry Lockhart has with Val Kilmer’s Gay Perry is awesome, and they just run with each other so well. Michelle Monaghan really is one of the most beautiful women I have ever seen, and she was in fine form for this. The music complemented the movie, and the plot was laid out so well. There wasn’t any lull or time to get bored, and the plot was not overly simple, but never got so complicated and convoluted that it became pointless, either. Harry Lockhart narrating the story was something that just flowed here, it was not jarring and it was not silly. It actually gave some kick to the movie, and I liked that. I also really like the way the movie was shot, it’s pretty stylish. There are so many incredibly memorable and hilarious scenes to this movie, and they never get old. Also, this movie is so quotable. Well, for me at any rate. Snappy and sassy, it definitely stays with you long after the fact. If you have not seen this movie yet, do yourself a massive favour and find it, I doubt you will regret it! This entry was posted in Movies and tagged Michelle Monaghan, movie reviews, movies, Robert Downey Jr, Shannyn Sossamon, Val Kilmer. Bookmark the permalink. I need to watch this. Like for reals. You really, really do. It is so awesome! Impressive review, this looks like my kind of movie. I can’t believe I have never seen this. It sounds great! Abbi!! This is totally up your alley! This is one of my favourite movies. It is just brilliant. Ten out of ten for me. 🙂 Yes, this would be something you would like. Excellent watch!